Because we want you to have a good experience, but so do we. Working at the movie theater is harder work than most people would realize. Depending on the type of job you do, it starts a minimum wage with some room for improvement. We work for five to nine hours each day and we are there (like most jobs) with small times to sit. As a theater employee, there are some rules or lessons its seems some moviegoers overlook whenever they come. As employees, we try our hardest to keep the utmost respect for our customers. Sometimes we encounter customers who do not show us the same courtesy as we show them. We do realize that you are the main reason we have our jobs, but sometimes it feels like we don not exist. A simple "hello" when we rip your tickets or "thank you" when we hold the door would make us feel like we do our job better. We realize you have places to be and people to see. We also know sometimes we cannot rush what we're doing. Whenever you buy your tickets, half of the job relies on a computer that may or may not work promptly. At concessions, a machine could be malfunctioning, and everyone is using one slushie machine for hundreds of people. Humans will be humans. We all make mistakes every once in a while; they might just be in front of a customer. 3. Please know what you want when you get in line. We see hundreds, maybe close to a thousand people every day depending on the day of the week and the theater. With this being said, it becomes harder to serve everyone in a suitable manner when we have to wait five minutes to get your correct concessions order or purchase the right tickets. Not only is it easier on us as an employee, but it also helps fellow customers get to where they need to be on time too. 4. If you have an opinion about what we're promoting, please do not throw it in our faces. As a company, places like AMC and Cinemark send the required setup for the theaters, and we build and set out what they give us. We do not get to choose what we put on display. I repeat, we do not get to choose what we put on display. We would love to hear what you have to say about your day or how your movie was, but please do not tell us what we're promoting is wrong. 5. We cannot change the company policies. Many times, people will go up to an employee and ask why we can or cannot do something. When we tell them it's company policy, most of them seem to huffy and mad. As a minimum wage (or maybe a little more) paid employee, we are not allowed to traipse around the theater and follow or change rules as we see fit. We follow a set of guidelines just like any other place of business. If you have a problem with how we run it, our managers are always happy to speak to you and see if changes can be made. 6. 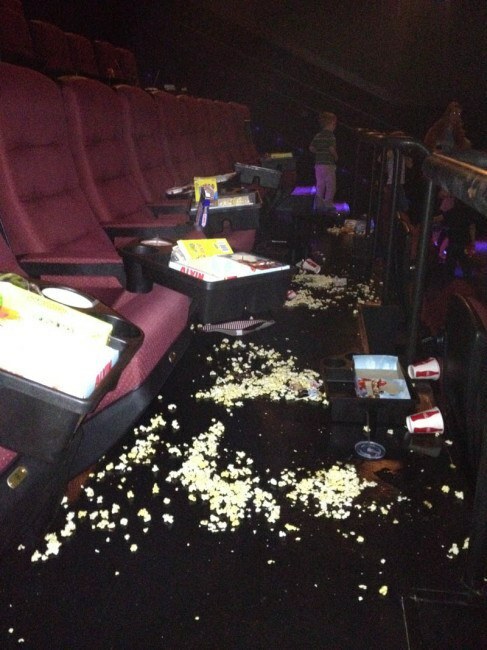 If you are under 17, please don't try to sneak into the movie theater. As an employee, we hate having to I.D. everyone just as much as you hate being I.D.'ed. If you are under 17, we will catch you. Where I work, on opening night we can have as many as four checkpoints to look at your I.D. We look when you buy your ticket, when we rip your ticket at the front podium, when you go to side podium to make sure you're on the right side of the theater, and then we have one more person standing in front of the theater for the beginning of the showing. Again, we will catch you if we see you sneak in. 7. We don't make the prices. 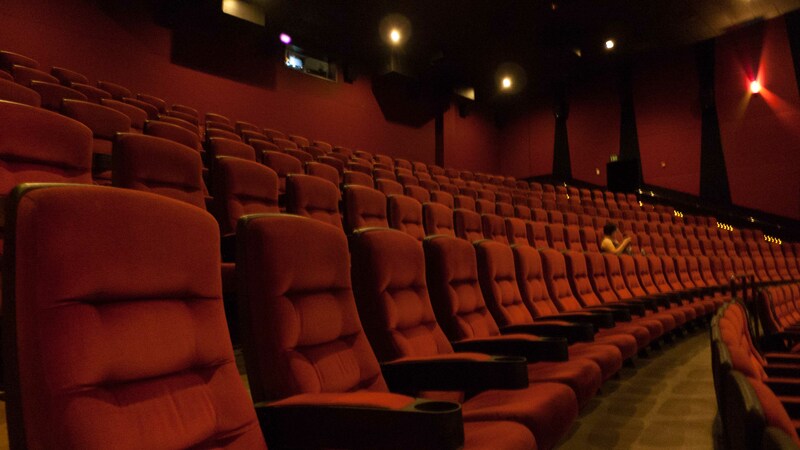 When you come to the movie theater, please don't outrightly complain about how much your movie costs to us. As employees, we do not set the prices for how much your movie will cost, if fact, no one in our theater does. Our company gives us the price we have to sell our tickets at and we sell them. It is also the same with concessions. We have no power over how much you spend at the movies. 8. When you leave the theater, take your trash! The only difference is this is one of the 20 to 30 rows in each theater, and they all look the same. Even though some days are tough, I do love my job. I've made some friends and have a job to come back to during breaks and vacations. Also, I'm pretty sure free movies and half-off concessions were never negative things.